A site specific audio-visual installation with 5 video tracks and 4 sound tracks. It was made for the outdoor exhibition Open Wire in the harbour area of Køge, Denmark, in 2014. 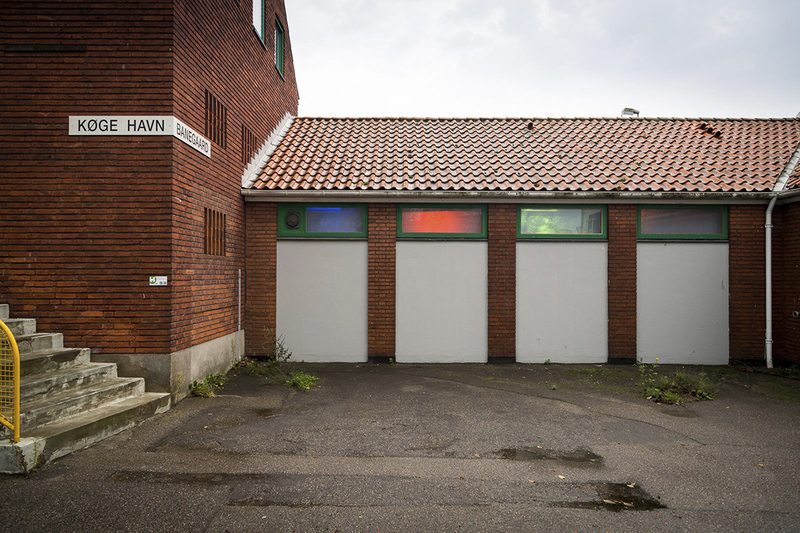 The installation is situated in an abandoned building in the harbour area. 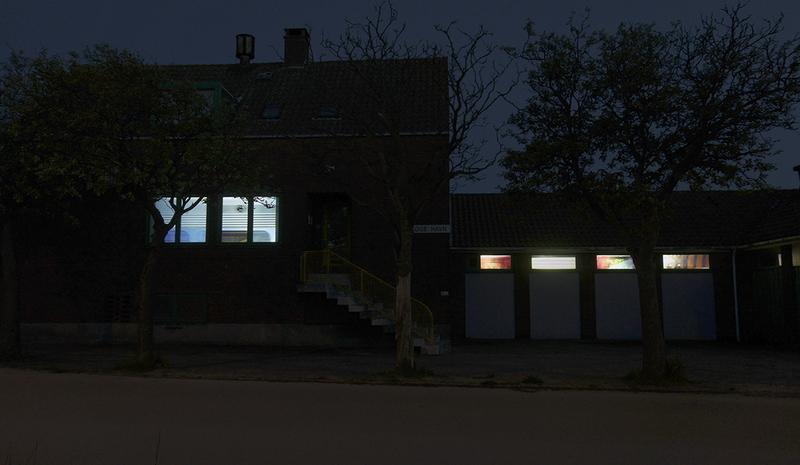 With the use of rear projections in 5 windows on the street side of the house, videos of a passing train are presented. The videos are synchronised, and together they show the train driving through the building. The train appears in 1/1 size, so only a part of it can be seen in the windows. The sound is played from 4 custom built loudspeakers placed inside ventilation holes and barred windows. The train is composed of videos of 5 different trains but appears as one as a result of the continuity of movement and sound. It drives slowly into the house, then gradually accelerates until the speed is greatly exaggerated. It then gradually slows down again, drives out of the house, and can be heard coming to a halt just outside the building. The passing takes about two minutes, so it obviously is a very long train. In about one minute the train turns back, and drives through the station from the other direction. It never stops at the station, always just outside. 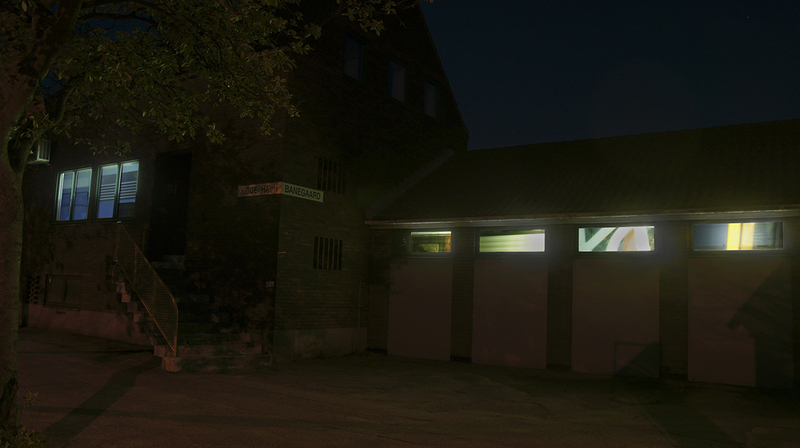 The production was supported by The Danish Arts Foundation.